St. Lucia, Caribbean Islands. My friend Heather sent this to me while she was on her honeymoon in the Caribbean. Love it! 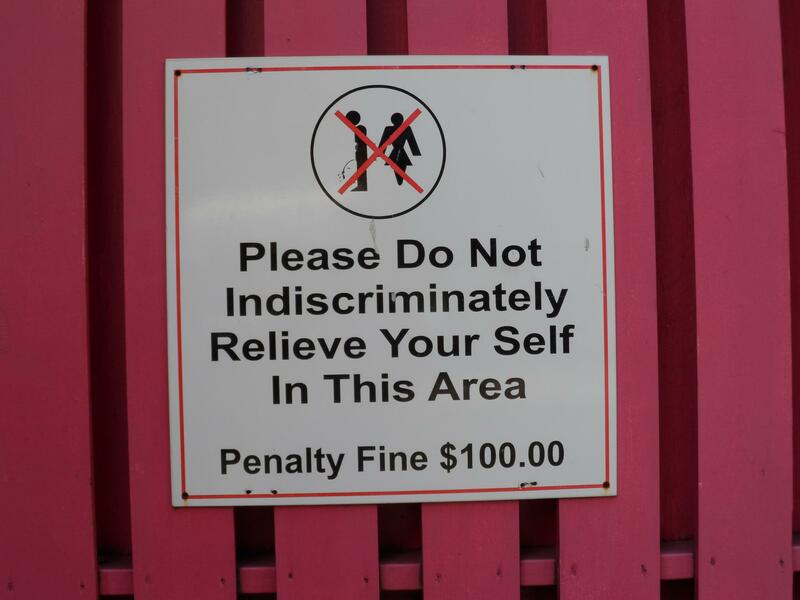 This entry was posted in Communication, Humor, The Caribbean, Travel, Travel Oops, Uncategorized, Words and tagged don't urinate sign, humorous signs by stephglaser. Bookmark the permalink. Oh dear, I am very indiscriminate about where I pee. I once had to do it in the back of the car in the lid of a sewing machine when i was stuck in a traffic jam on a motorway in England. There are blessings to having a car which is always full of rubbish you know. I love this photo that you have posted, the woman looks like she is shrugging does’nt she? !